It may be the first month of 2013 but we’re still wading through some of the releases that were gifted to us in 2012. 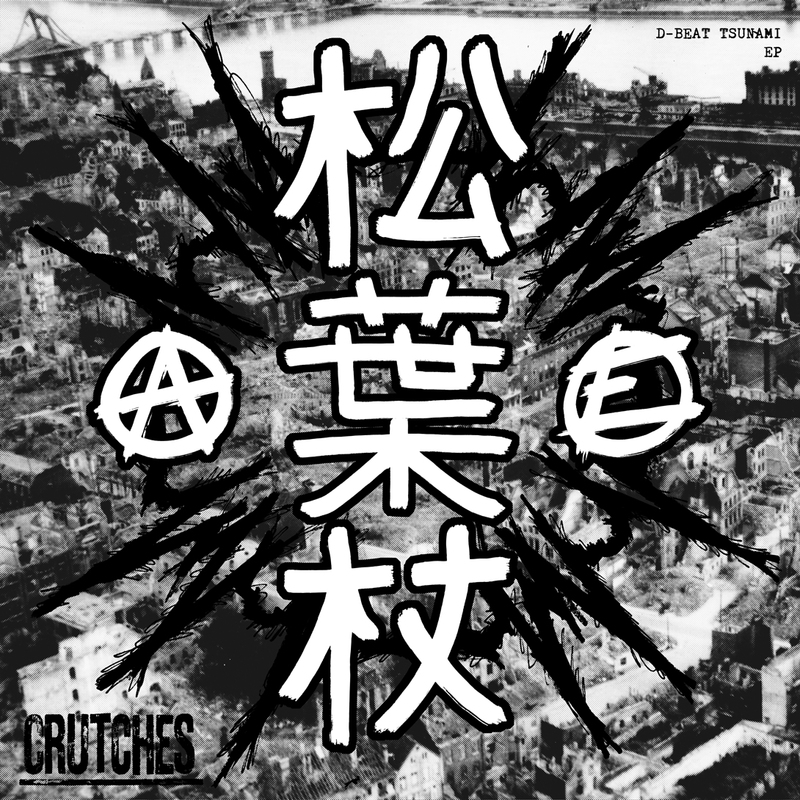 It was a year that was overrun with crust and d-beat releases from all corners and crevices of the globe and one of the genre’s most fertile grounds over the years, Sweden certainly wasn’t to be forgotten with Malmö’s Crutches releasing their latest EP, D-Beat Tsunami. And talk about an apt name for a record. The 7” is just that, a tsunami of searing and unforgiving d-beat, and with just three short tracks of unmitigated mayhem. Crutches aren’t reinventing the wheel by any means and this d-beat savagery has been done a million times over but the overall aggression and energy from these Swedes is something you can’t help but admire, made all too clear by the immediacy of the EP’s opener ‘Let’s Start a Fire’. It’s a track does just that, whipping up an inferno of devastating punk violence and belligerence. The vocals are pained, excruciating cries of adrenaline and intensity, particularly alighting on the unrelenting second track ‘Självutskitna’ that’s also complemented by the EP’s most memorable riff to boot. Add to that, the band can still reel the velocity in a little bit, and still keep things interesting. Production wise, the EP is just dirty but not unlistenable. The vocals are hellish shrieks that haven’t received too much studio treatment meanwhile the guitar tone has that classic sound met by the sloppy, crunchy bass slogging along underneath. D-Beat Tsunami is a powerful and unrelenting slab of caustic d-beat, executed quite well and while it’s not staggeringly new or fresh, it’s not something to pass up on either.